Tiffany Smith with DC All Access got to talk with the cast of 'The Flash' about season one and what to expect from season two. Grant Gustin, Candice Patton, Tom Cavanagh, Jesse L. Martin, Carlos Valdes and Danielle Panabaker recalled some of their favorite moments of the season and answered questions about how time travel will affect the next one. 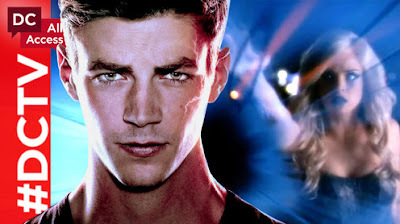 Some of the tidbits revealed during the interviews include the cast knowing that Cavanagh was going to be the big villain from the beginning, Valdes being told two episodes prior that he was going to die (but come back), Patton's training to fight Gustin and Panabaker says that we're going to see her as Killer Frost "real soon." Valdes was more coy about Cisco becoming Vibe. Check it out.